Je voyais la réalité, qui est le plus puissant des hallucinogènes. "Wanted by no one. Hunted by everyone. Sixteen-year-old Nathan lives in a cage: beaten, shackled, trained to kill. In a modern-day England where two warning factions of witches live amongst humans, Nathan is an abomination, the illegitimate son of the world's most terrifying and violent witch, Marcus. Nathan's only hope for survival is to escape his captors, track down Marcus, and receive the three gifts that will bring him into his own magical powers-before it's too late. But how can Nathan find his father when his every action is monitored, when there is no one safe to trust, not even family, not even the girl he loves? 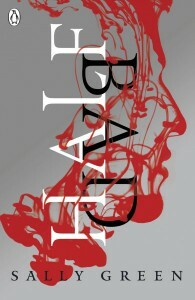 Half Bad is an international sensation and the start of a brilliant trilogy: a gripping tale of alienation and the indomitable will to survive." Hey guys! I'm back with another review today. I can have one of my 2015 goals crossed off after reading Half Bad; it was written by someone who isn't native to my country. This is exciting news because Sally Green will be forever known as my first English author I have read on my own that was required for school. Anyway, let's get to the review. This book had it's problems just like other first-time-debuts I have read. I was feeling very generous with my rating for this book considering that it's the beginning of the year and I wanted to give Sally Green a chance with this one. I always have sympathy for first time writers. I will begin with the things that I did like about this book. The fact that it tackled differences between social classes really intrigued me. Normally, I don't read about that subject with YA books and it was refreshing to see something new. When the heartbreaking events happened to Nathan (just because he is a Half Code) happened, I seriously wanted to cry because of how intensely written it was. During those scenes, Green's writing style really shined through. On another note, the relationship she built between Nathan and Arran was really beautiful was well. I could really sense how sincere the two brothers were with one another despite the fact that they had different fathers from different factions. Despite those two aspects, the book really fell apart for me. The world building just wasn't there. When I was reading through the scenes where the world was described, I felt that I was supposed to already know about this world. The differences between the witches that lived among fains and those who didn't weren't described other than the fact that "hey, one likes living among the mundane and others despise it". I didn't like that at all because since this is a new world that I was experiencing, I wanted to learn about it while reading. 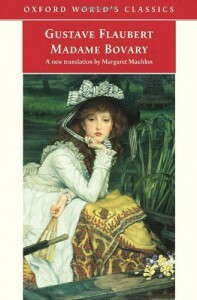 I most likely won't read the sequel to this, but I really want to see if her writing and story improve. I might read the reviews before purchasing just in case because I really don't know if it would be worth reading. "After the 1st Wave, only darkness remains. After the 2nd, only the lucky escape. And after the 3rd, only the unlucky survive. After the 4th Wave. just one rule applies: trust no one. 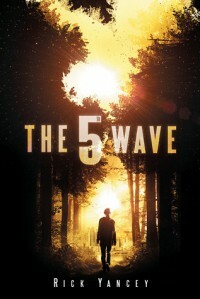 Now its the dawn of the 5th Wave, and on a lonely stretch of highway, Cassie runs from them. The beings who only look human, who roam the countryside killing anyone they see. Who have scattered Earths' last survivors. To stay alone is to stay alive, Cassie believes, until she meets Evan Walker. Beguiling and mysterious, Evan may be Cassie's only hope for rescuing her brother-or even saving herself. But Cassie must choose: between trust and despair, between defiance and surrender, between life and death. To give up or to get up." I will say this: I did not like this at first. I just didn't. I felt that the beginning was just slow and uneventful. That was it's biggest flaw. As the story progressed and there were the other narratives, I couldn't bring myself to think, "Man, I can see this happening". I understand that this is a work of science fiction, but even with that the selling point for me is being able to see whatever is happening in the book...happening. It wasn't until the last two hundred pages or so that I really got into the action packed scenes and the fast paced story line. Having the ending of the book be the only point of interest is highly disappointing. As for protagonists, I absolutely adored Cassie and her little brother. Cassie reminded me of myself in certain situations where she used her sass. She felt real. She wasn't perfect. She fought with her parents, lied to her little brother (with good intentions), and had a hard time trusting people. Most importantly...there was evidence that she was a teenager before this tragic event happened! I have read many books where the author makes it seem that the protagonist (who is a teenager) is a full-blown adult at 16-17 years old. Now, I don't mean that they have responsibilities or needed to "grown up fast", but those characters just seem too mature for their own age to the point where they would suit being adults better than teens. With The 5th Wave, I loved that Yancey actually made Cassie a teenager who has made mistakes and learns lessons throughout her hardship to make her life better...or in this case to make sure she lives to see another day. Sadly, the book was extremely predictable. Despite this, I was still able to enjoy what I could and had a wonderful time experiencing this book as my first Science Fiction work. I can't wait to read the second book in this trilogy when I get the chance to so I can see how the story progresses. So I decided to put the two books together since I read them back-to-back. In all honesty, I did not like this duology as I hoped I would. Between the Devil and the Deep Blue Sea was the first debut novel from Tucholke, and I wasn't surprised to see mistakes within the writing and the overall layout of the plot line. I decided to give the author another chance and read Between the Spark and Burn, and sadly I was disappointed. The sequel did not do justice. Whenever I write a review that has a poor rating, I always like to start it off with the things that I liked versus starting with the dislikes. With the Between duology though, I wasn't able to find anything that I liked at all. What I disliked the most was the writing style and diction used. It was unappealing to say the least. The imagery was skewed and the language and diction of each character was overall annoying to the point where I wanted to stop reading to duology all together. As for the love in this story...there was instalove. That is one of my biggest pet peeves. I can understand that there was actually something deeper in the plot that caused the instalove to occur, but that doesn't excuse it at all. There was even instalove in the sequel that was totally out-of-the-blue-and-in-your-face. Just....ugh. The ending for Between the Devil and the Deep Blue Sea seemed almost random. I feel like I have either seen or read that ending somewhere before and it all just didn't feel original to me at all, and that was very disappointing. For Between the Spark and the Burn, I will admit that the ending was better than the first. Even though the story was just as predictable, there were more seemingly random events popping up wherever they could possible go to make the story feel more "put together". That aspect really brought the sequel down to the rating of the first. Overall, the Duology earns only 1.5/5 stars based on the principle that it was poorly written and executed. I had high hopes for these books, especially the sequel, and unfortunately I was let down. If you find the story interesting then read it, but you may or may not be disappointed at the end of it all. For loving, and for saying so. After hearing about her travels to Paris and hoping that she picked up actual French copies of her favorite literature (ex. Cyrano de Bergerac and Cousin Bette), I decided that I would ask anyone who is traveling to other countries to pick me up a copy..any copy..of a book in that countries native language and bring it back to me. Nothing too fancy. Some of my friends are going to Costa Rica on a school trip so I asked them to bring me back a book. This was just something personal that I wanted to share so I don't seem like someone who just writes reviews on here :) I hope the person reading this has a great day! Parents get all focused on themselves, and they see their little babies start walkin' and talkin', and since they kinda look like them and sound like them, they start thinking of those little babies as themselves....And then something funny happens. Those babies grow up to be kids and teenagers and grown-ups in their own right....so everything the kids do, everything, is a betrayal. "Meadow Woodson, a fifteen-year-old girl who has been trained by her father to fight, to kill, and to survive in any situation, lives with her family on a houseboat in Florida. The state is controlled by The Murder Complex, an organization that tracks the population with precision. The plot starts to thicken when Meadow meets Zephyr James, who is—although he doesn’t know it—one of the MC’s programmed assassins. Is their meeting a coincidence? Destiny? Or part of a terrifying strategy? And will Zephyr keep Meadow from discovering the haunting truth about her family?" When I first heard of the title of this book, I was instantly interested. The Murder Complex stayed true to it's name; there was murder. Blood. Gore. Grief. Everything that I love in a good book. As some may know, I am a big fan of anything involving murder mysteries or serial killers. Sadly, I did not absolutely love the work as a whole. Since this was the last book I read in 2014, I decided that I would give this book a higher rating because I wanted to end the year on a good note. For Lindsay's first time being published, this was actually written better than most debut books. But, unfortunately, there were too many things that I found disappointing than interesting. Meadow was trained to survive. I get that. For me, I felt like Cummings was trying too hard to make her a badass female character. Whenever there would be a scene were Meadow was being a "badass", I felt like it was too overdone to be true. I understand that there is a big hype with making a strong, independent female role, and I'm actually one of those people who get excited when there is a female that isn't the stereotypical fragile character, but with The Murder Complex...the characters were just not believable. Also, there was instalove. One thing that I am thankful for with the love in this books is that there was not a love triangle. Thank you, Lindsay Cummings, because you are one of the few YA authors out there that avoided the dreaded love triangle. From what I read, Zephyr was constantly dreaming about Meadow and considered her the "Moonlit Girl". When he saw her for the very first time.... BAM! He know he was in love with a girl that resembled the girl in his dreams. As for Meadow, after being around him TWICE...the girl loved him. On another note, the ending was predictable. There were blatant hints in the book that suggested what would happen at the end. Meadow's curiosity was just an act for Cummings to slip hints throughout with the hopes that no one would notice. The cliffhanger didn't do any justice for me. I don't know, maybe I just really didn't like the book from the beginning and that's why it fell apart for me. I would still recommend this debut book though. I feel like Cummings just had a rough start as being a first-time author, and I get that. 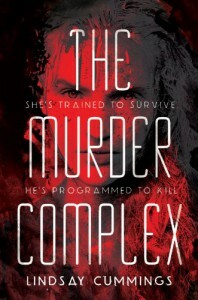 If more people read The Murder Complex and she receives more feedback, it can help her with later works in her life to perfect her writing overall. I wish Lindsay Cummings the best of luck in 2015 and her future career as an author. "Mile's little brother Teddy is missing. The police believe he drowned at the beach-the very same day Miles had his first schizophrenic episode. But Miles knows better-Teddy is alive. Kidnapped. There was even a witness! Fueled by guilt, Miles sets off to rescue Teddy. There is so much to overcome, though. The endless pills he must take. The girl who steals his heart and plays with it. The black crows that follow him. As seen through Miles's distorted perception, his world closes around him as he pushed to keep it open. What you think you know about his world is actually a blur of gray, though, and the sharp focus of reality proves startling. The New York Times bestselling author of Tweak offers a fascinating and ultimately quite hopeful story of one teen's downward spiral into mental illness." I have always had trouble reading novels that contain addiction, mental illness, etc. Although I have trouble reading these types of subjects, there is something inside me that always draws me to read about them in novels such as Schizo: A Novel. Let me just say, I adored this book despite everything that happened to Miles. This book was a relatively fast read, and it only took me a few hours to fly through it. The structure of the book isn't really the mainstream sort of layout, but, for a lack of better words, reminds me of a poem? I can't really describe it. Like, it looks like any other book would, but how it reads in my mind has some sort of poetic vibe to it. I actually really enjoyed that aspect. I think that was why it was so easy to read this book in just a few hours. The story itself was very intense. Instead of just saying, "This is what Schizophrenia does to you and here are the symptoms", I was able to actually see the mental illness through Miles's eye emotionally. There were moments that I felt very uneasy or upset because of what Miles had to go through, and it really touched my heart that I was able to connect with a character so much to the point where I felt what he was feeling. Sheff did an amazing job making Miles a character that I was able to have this connection with despite not having Schizophrenia. There are just a few things that I would like to point out. The outcome what happens with Teddy is actually very easy to figure out from just reading the first couple of chapters where the main character talks about him. On the other hand, I was really touched on how Scheff wrote Miles's reaction to the ending because it felt real. Have you ever read something and you thought, "Well, I can't see that happening in real life, but it was a nice shot"? This novel didn't have me thinking that way at all, and I'm very thankful for that. With all the important things taken care of for this review, I really do believe that this book deserves 5/5 stars. While I have read many novels pertaining to the subject of mental illness, I believe that Sheff was able to tell Miles's story very well. 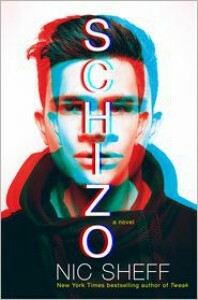 I can see how much effort the author put into Schizo: A Novel and how much time he spent in making the story as believable as possible to have the readers see Schizophrenia through the eyes of another. There was a beautifully done character development as well, and overall, I just really hope this novel earns a lot of praise. "It's not easy being Magnus Bane. As a warlock, he's often called upon to fix the problems of others. His life has been long, and his loves have been many. And Magnus has a way of making sure he's at the right place at the right-or perhaps wrong-time. The French Revolution, Prohibition, the great blackout of New York City, the first great battle between Valentine and the New York Institute...Magnus was there, and usually in the middle of it. But smuggling Marie Antoinette out of France is noting compared to loving a vampire like Camille Belcourt-or having a first date with Alec Lightwood. Though Magnus's tale is far from over, these stories shed a little light on his inscurtable character. What happens when an immortal warlock goes mad? Are all Herondales as problematic as Will? (Answer: yes.) What exactly happened at the Hotel Dumont? What do you buy for your Shadowhunter boyfriend when you're not really dating? And why was Magnus banned from Peru? Magnus will never be able to tell all of his tales. No one would believe him. But here are eleven stories that fill in some of the blanks-stories he probably wishes had never gotten out." *slowly claps* Cassandra Clare. My gosh. You deserve to receive all my money for every book that you right about Shadowhunters or Downworlders. (I seriously love her. I almost bought a hardcover addition for one of her books that I already have because I wanted it so bad.) 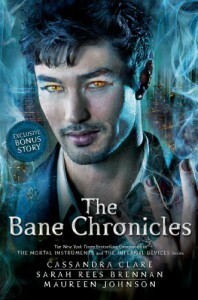 These short stories blew my mind away because Magnus was finally portrayed as the fashionable badass he truly is. As the stories progressed through the decades, I began to love each story that I read. I could really tell that the authors on this collaboration really took the time to think out each little short memory that Magnus had about his life. What I loved most about each book was the fact there there was so much humor to each of them that made them unique. I caught myself either laughing or smiling at each bit that went on that involved it. Then, there came the romance between Magnus and Alec. Gosh. My heart strings were really pulled during the scenes involving them. I just loved their relationship in The Mortal Instruments series and when I found out that there were stories involving those two together....let's just say I needed a few moments to stop and smile at the cuteness that overflowed from the pages. Magnus's character went through noticeable character development, and I finally felt like I could connect to him on a deeper level after reading all of the adventures that he had in his life. I want to write so much more, but I don't want to reveal too much about the short stories because words cannot begin to explain how perfect each of them are. 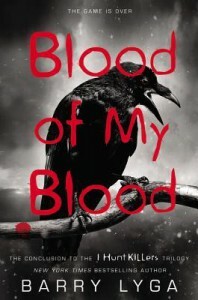 4.5/5 stars for Cassandra Clare, Sarah Rees Brennan, and Maureen Johnson. You all deserve it! "Sixteen-year-old Jeff Jacobson had never heard of Jeffrey Dahmer, the infamous serial killer who brutally murdered seventeen people more than twenty years ago. 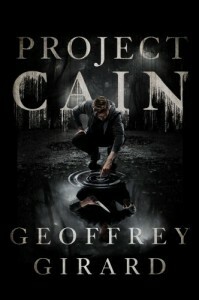 But then Jeff discovers he was constructed in a laboratory only eight years ago, part of a top-secret government cloning experiment called Project Cain. And scientists created him entirely from Jeffrey Dahmer's DNA. Jeff isn't the only teenage serial-killer clone. Others have been genetically engineered using the DNA of the Son of Sam, the Boston Strangler, and Ted Bundy. Some clones were raised, like Jeff, in caring family environments; others within homes that mimicked the horrific early lives of the serial killers they were created from. When the most dangerous boys are set free, the summer of killing begins. Worse, they hold a secret weapon even more deadly than the terrible evil they carry within. Can Jeff help catch the "monsters" before becoming one himself?" I somewhat enjoyed this book, When I read the summary on BookOutlet, I was instantly drawn in. Serial killer clones? Secret government organization? Deadly weapon? All of those things strung together made my inner dark fiction reader very happy. When I read it though, it just didn't deliver for me. First off, I'll say the one thing that I enjoyed about the book. The structure of the book and the fact that there was no direct dialogue intrigued me. I can honestly say that I have never seen anything like it before. Reading through the book made me feel as if I was Jeff Jacobson living through these events. Most of the books that I have read do not evoke that sense of connectivity, and it was nice experiencing the story line through the eyes of the protagonist rather than standing on the sidelines. Other than that, I had a hard time getting through this book. I will admit, school had a part in the struggle of finishing. (It took me over a month to read) Every time I went to read this book, I would get into it for about...3 pages. After that, I felt like I was treading through mud to finish a chapter. I found myself skimming rather than actually reading the book. There was a lot of history thrown into the plot, and I personally thought it was meant as a filler to get the story moving along. I understand that Jeff Jacobson loved history and science, but I felt that Project Cain focused on those aspects too much. Don't get me wrong, I love those two subjects and I found the information interesting, but I didn't see why Girard felt the need to add so much of it into this story. All in all, this book receives a 2.5/5 stars. If anyone is interested in science, history, cloning, and serial killers, I would still recommend this. I think that this is a "required taste" sort of read. Some will love it, some will think "ehhhh", or some will hate it. For Ivy Jensen, it's the eyes of a killer that haunt her nights. For Parker Bradley, it's bloodthirsty sea serpents that slither in his dreams. And for seven essay contestants, it's their worst nightmares that win them an exclusive, behind-the-scenes look at director Justin Blake's latest, confidential project. Ivy doesn't even like scary movies, but she's ready to face her real-wold fears. Parker's sympathetic words and his perfect smile help keep Ivy's spirits up...at least for now. Not everyone is so charming, though. Horror-film Garth Vader wants to stir up trouble. It's bad enough he has to stay in the middle of nowhere with this group-the girl who locks herself in her room; the know-it-all roommate; "Mister Sensitive"; and the one who's too cheery for her own good. Someone has to make things interesting. By the time Ivy and Parker realize what's really at stake, it's too late to wake up and run." I really did enjoy this book, and I'm very fond of Stolarz's work. This novel jumps around with narrative, allowing the reader to witness the book from different points of view. I actually enjoyed this aspect, because, unlike other books that I've read that have done this, the writing style and language changed between each character. One could tell which character was talking without even reading the heading under the chapter number. Each character had their own personality and there was a light character development that I rather found interesting instead of the usual drastic. I didn't expect this book to be that of "horror" or "thriller". This plot took more of a "mystery" turn than anything else. After reading this, I received what I longed for. This book was like a stereotypical cheesy horror film. (I loved this idea, but I think that I'm the only one?) I mean, there were parts where I had an idea about what was going to happen, but there were some creepy bits and pieces thrown in that really set the book apart from others. The one complaint that I have about this is the fact that it was very predictable. While reading through the point of view from each character, it became fairly easy to think. "Hey, I know this is going to happen," and then realize that I was right about it. 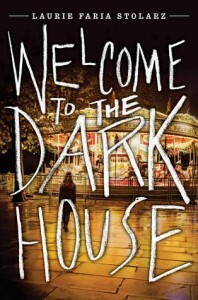 The only unpredictable thing about this book was the fact that there will be a sequel that goes along with it and it's called Return to the Dark House. There were no hints to the sequel, but I guess how the ending worked out that that was the hint? I don't know. I guess I just missed hints if there were any. All in all, I really did enjoy this read. Reading it took a few hours since this book only has 357 pages. The only downfall, again, was the predictable outcome of each character. On the other hand, did anyone else feel like the Nightmare Elf resembles Elf on the Shelf? I feel like I was more creeped out about that than the other aspects of the book. Overall, 4/5 stars for you, Laurie Faria Stolarz! I can't wait to read the sequel next year. "Jazz has never been closer to catching his father. Jazz has been shot and left to die in New York. His girlfriend, Connie, is in the clutches of Jazz's monstrous father, Billy-the world's most notorious serial killer. And his best friend, Howie, is bleeding to death on the floor of Jazz's own home. But then, Jazz crosses a line he's never crossed before, and soon the entire county is wondering: "Like father, like son? Which is the true monster?" From New York City to the small town of Lobo's Nod, the chase is on, and this time, Jazz is the hunted, not the hunter-while Billy Dent lurks in the shadows. And beyond Billy? Something much much worse. Prepare to meet...the Crow King." I can't write this review without a spoiler. I just can't. This conclusion to I Hunt Killers was amazing. Fantastic. Outstanding. Superb. No words can describe it honestly. I have never loved a conclusion to a trilogy or a series this much in this genre. There were so many twists and turns that I couldn't read as fast as I would have loved to. I wish I could have devoured this book in one sitting, but I had to spread out the reading through a week because of school. Luckily though, taking my time to read the book and stopping off at certain points really helped my love for the characters and story grow stronger. First off, I can't believe that Jazz ran away from the FBI. He literally punched out two or three officers and pretended to be an officer just to escape from a hospital. Like what?! I have never loved a male character as much as I love Jazz. He is literally perfect, despite the constant running away from the police and FBI, and having an inner conflict with himself involving him being a murder or not. Other than that, perfection. Unlike Game, this story had length but didn't contain too much fluff. Every book, regardless of genre, is bound to have some fluff to get the story moving along a rough patch to capture the reader when something unexpected is bound to happen. Let me tell you though, BoMB has a lot of unexpected events happening. For one, Weathers death. I never expected Billy to kill him himself. I imagined Billy having someone else do the job for him as a test like in Game. I never imagined that Weathers would have died in general. I thought that he would have lived to report one last time on the Dent case and made it big. I don't know, I guess I just pictured a happier ending for him since he lived a crummy life, despite being overly corrupt. The ending. Oh my gosh, that ending gave me the chills. The fact that Jazz paralyzed his father and left his mother as a vegetable on life support shows that he finally has control over his life. When he told his mother, "I could kill you anytime I want".....I just couldn't. That was the second to last line of the book. The second to last line in the entire trilogy. I applaud you, Barry Lyga, despite the fact that I know that you will probably not see this. There is one complaint about this book though that I have to address. I wish it was longer. Yes, I said it. I wish it was longer. I didn't want to leave Howie and Jazz, and I really didn't want to leave their friendship behind. I hope that in the realm of Lobo's Nod, Jazz and Howie are still friends. I hope Jazz is still getting outrageous tattoos for Howie and not even minding that each one of them is out-of-the-blue. Just, this book was the best thing in the world to me and I recommend it to everyone. "Several months have passed since Jazz helped the Lobo's Nod police force catch the serial killer known as the Impressionist. Every day since then, Jazz has dealt with the guilt of knowing he was responsible for his father's escape from prison. But when a determined New York City detective comes knocking on Jazz's door asking for help with a new case, Jazz can't say no. The Hat-Dog Killer has the Big Apple in a panic, and the police are running scared. Is the Hat-Dog Killer Jazz's means of redemption? 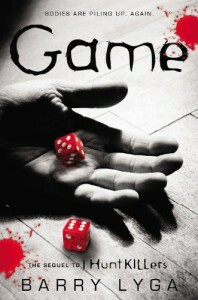 Or will he get caught up in a killer's murderous game? And somewhere out there, Dear Old Dad is watching...and waiting." I'm not going to lie about this book. When I first started reading, the beginning set me off....but in a good way. I adore Barry Lyga's writing style, and the way he started this sequel had me hooked instantly. Everything that Lyga writes has such a smooth continuous flow that I forget that I'm reading and imagine myself actually watching the events on a television screen or a movie theater. This sequel is not like I Hunt Killers. The first book does not compare in gore factor. Lyga must have been watching the Saw movies or something, because this was the goriest and most disturbing plot line that I have every had the pleasure of reading. Yes, I said pleasure. I do not recommend this book to someone who can't handle gore or explicit content, because that content shows up in a good portion of the whole piece. The plot was different as well. I liked the idea of Jasper branching out and leaving Lobo's Nod to help the NYPD with their investigation. What intrigued me the most was the mystery behind the Hat-Dog Killer and I found myself searching for clues in the piece that would've given me a hint. Luckily, I did not find any clues to spoil the end result, but what happened was situationally ironic. The one complaint that I have about this sequel is the length of it. I feel as if there was too much "fluff" between the important scenes and I found myself skimming passages just to get to the interesting scenes. Nonetheless, that was the only thing that I found upsetting about Barry Lyga's work thus far. The psychological aspect becomes more prevalent as the plot moves forward. Not only is Jazz expressing the Nature vs. Nurture debate, but he is having difficult with his subconscious throughout the entirety. He relationship with his loved ones becomes tense as he tries to sort out what is "wrong" with him, when in fact, the only thing that is wrong with him is not his DNA like he thinks, but with his own personal being.